Like Runaways, the impending arrival of Cloak & Dagger on Freeform represents just how deep the storytelling potential within the Marvel Cinematic Universe runs in terms of the types of audiences tales can be told for. 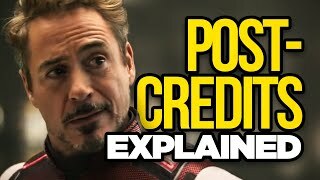 Simply watch the trailer for the first season and you'll see that it feels appropriately removed from the types of worlds the various Avengers or Defenders thrive in. Aside from the benefit of having a unique location all to themselves in New Orleans - rather than New York yet again, for instance - the characters of Tyrone "Cloak" Johnson and Tandy "Dagger" Bowen, played respectively by Aubrey Joseph and Olivia Holt, are unique newcomers to the MCU, the two armed with real superpowers that rely on each other for strength, both physical and emotional. At its heart, their tale is a complicated love story colored in by the miraculous things they can do and the different lives they each lead, and that alone makes it stand out from the various other shows within the MCU. Again, just like Runaways, that concept and its teen-centric focus won't be for everybody, but for fans looking to see the MCU continue to explore new corners of its universe and bring more comic characters to life to populate the franchise, Cloak & Dagger is just the type of show whose success can only lead to even better things. And while no official premiere date has been set yet, the 10-episode season has been confirmed to be airing Thursday nights, so keep an eye out, as more info about its release is undoubtedly right around the corner.